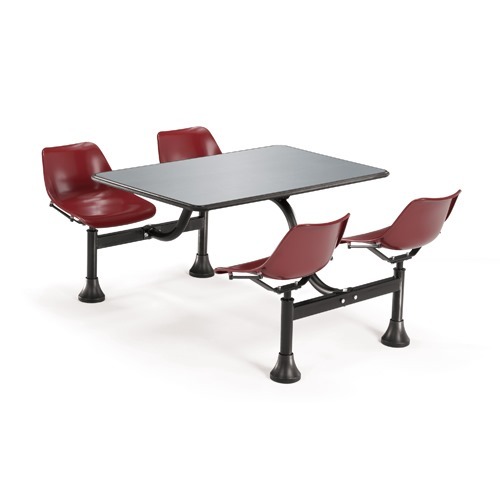 Product: OFM 1004 24x 48 Cluster Table and Chairs 4 Seats. 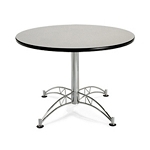 Free shipping to the 48 United States for this 1004 Cluster table. 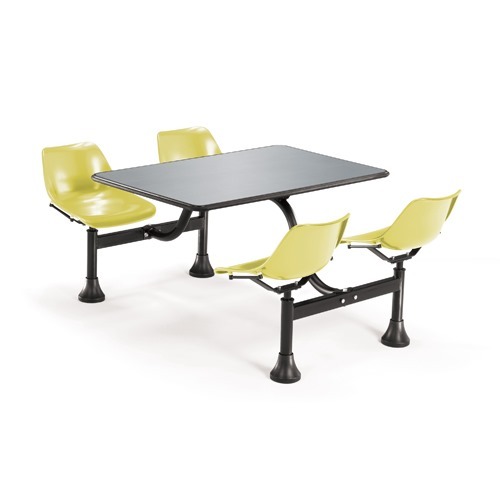 This versatile cluster table works great both indoors and outdoors, from playgrounds to lunchrooms! The table includes 4 attached chairs with an auto-return swivel feature for ease of entry and exit. The table and chairs are both waterproof and fireproof, and allow for optional permanent installation or leveling with built-in glides. 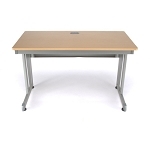 The durable stainless steel 24" x 48 tabletop surface resists mars and scuffs. 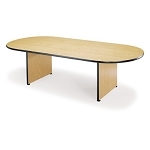 Fast Shipping: Orders for the OFM 1004 generally leave the warehouse within 1-2 business days.